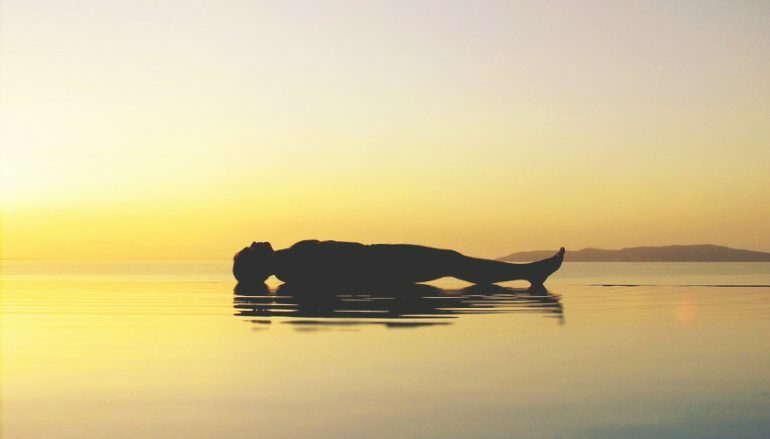 Yoga Nidra is an ancient guided, sleep-based meditation technique, often described as “dynamic sleep,” that allows the body to deeply relax into the sleep state while the mind stays inwardly alert and conscious. In Yoga Nidra, while lying down or sitting in a chair, the mind and body move from waking and sleeping states to allow the body to heal itself as it innately knows how to do. Yoga Nidra brings deep relaxation and stress relief, guiding practitioners into the “hypnagogic state”—the threshold between alpha and theta waves—where the body “sleeps” while the mind is lucid. This passive/active state allows access to subconscious memory and repressed experiences—unlike hypnosis where the person is totally inert – and allows the brain to disengage old neural pathways and reinforce new ones. Yoga Nidra offers the potential for improved well-being by transforming emotions and thinking patterns, improving mood, and even creating positive new thinking patterns and reducing self-limiting beliefs. Combined with alchemy crystal bowl sound healing, this series offers transformation on every level of our human being-ness. Gena Davis, Episcopal priest, crystal bowl player, and certified yoga educator in Nosara Yoga, Pralaya Yoga, and Amrit Yoga Nidra™, believes that “Yoga Nidra is a powerful healing modality, addressing the physical, emotional, mental, and spiritual aspects of ourselves.” To aid in the deepest transformation possible, Gena also plays alchemy crystal bowls during Yoga Nidra sessions.